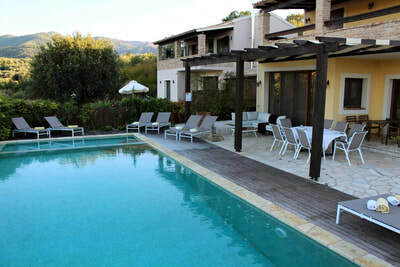 Villa Zacharenia is a luxury villa in Corfu, Greece, situated on Agios Spiridon beach in the north coast of the island. 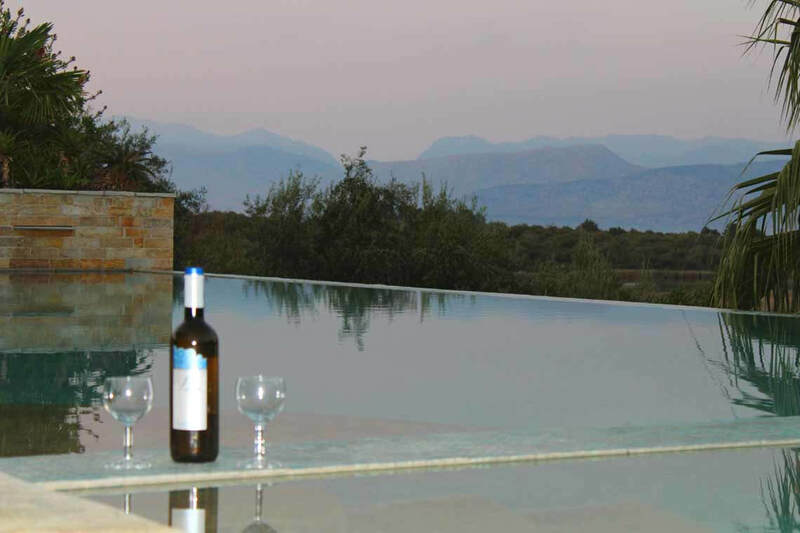 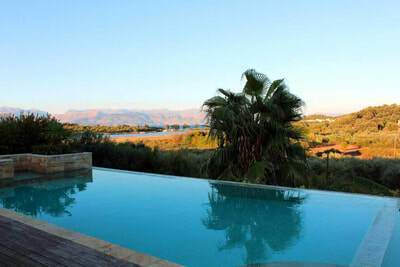 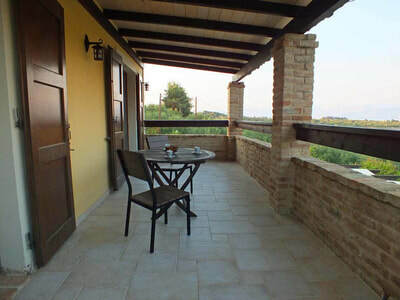 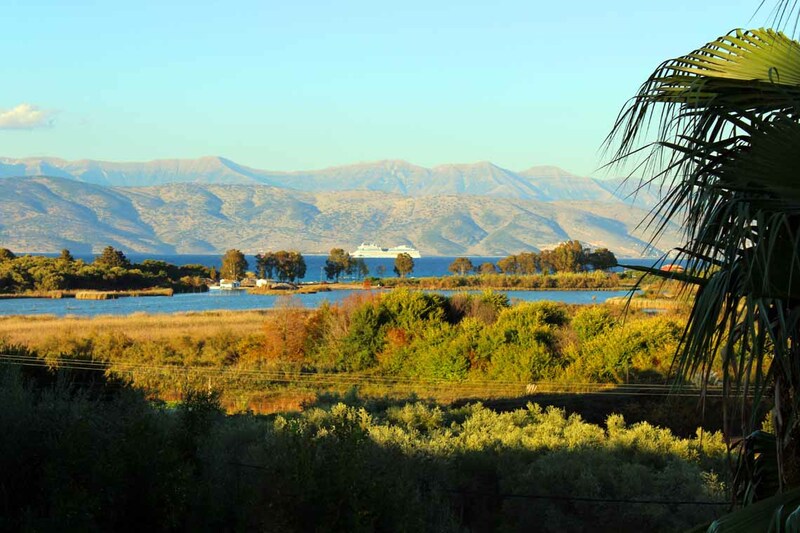 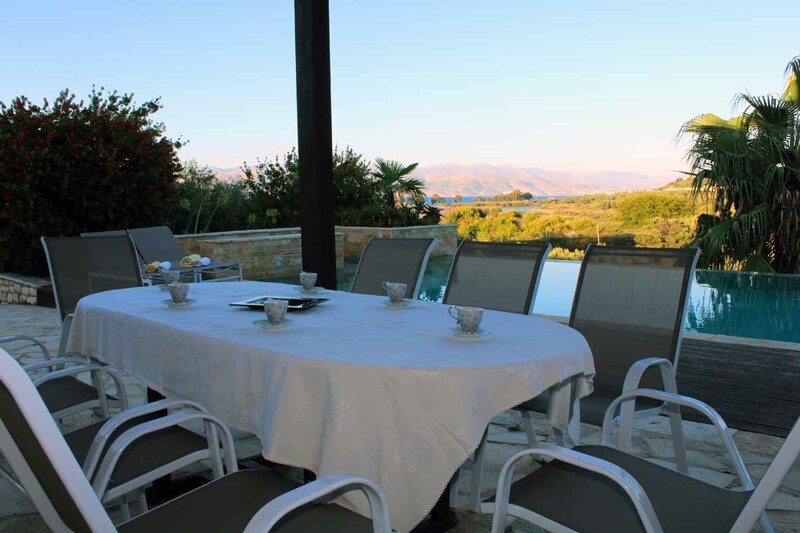 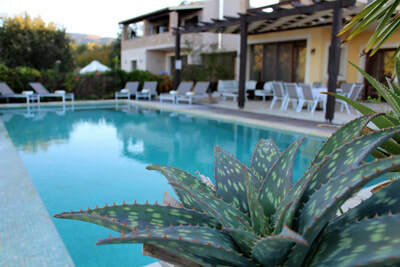 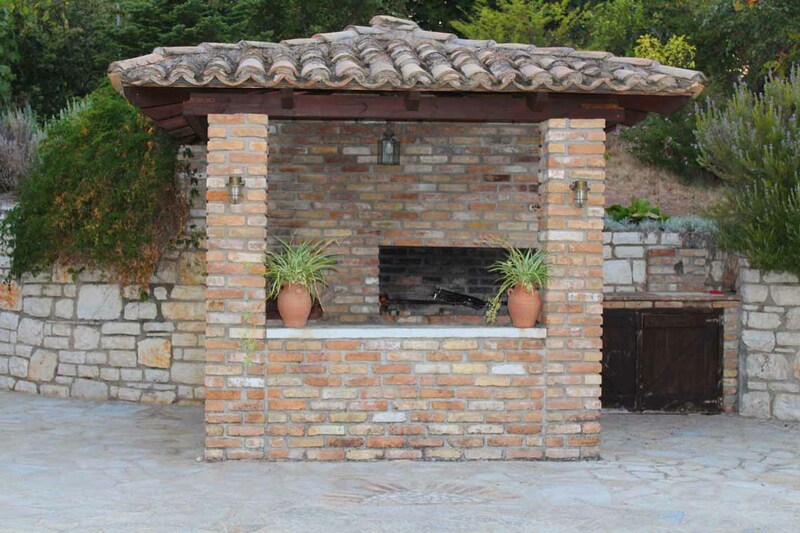 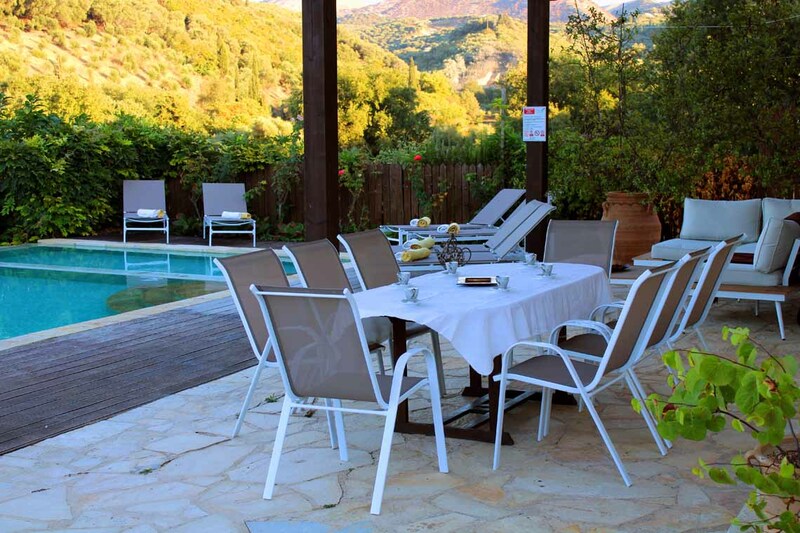 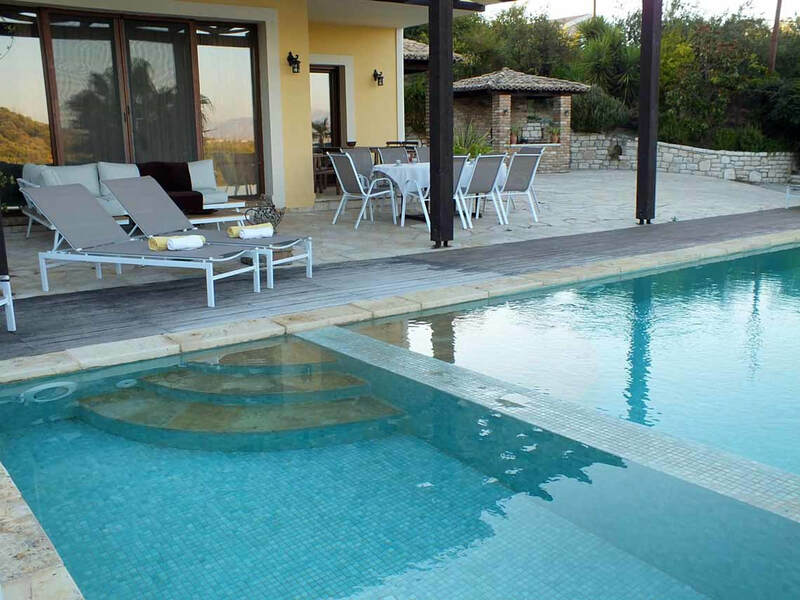 This detached Corfu holiday rental is air conditioned and sleeps up to 8 people(plus 1 on request) and offers a private swimming pool and sea views. On the ground floor of our private villa in Corfu there is a large living room with doors leading to pool terrace and pool. 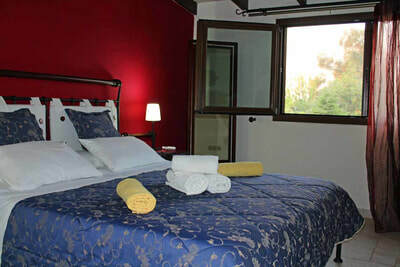 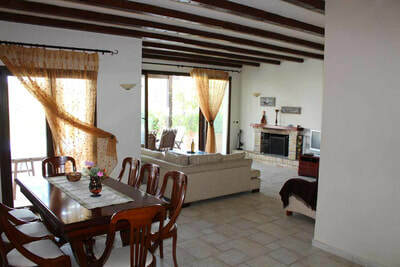 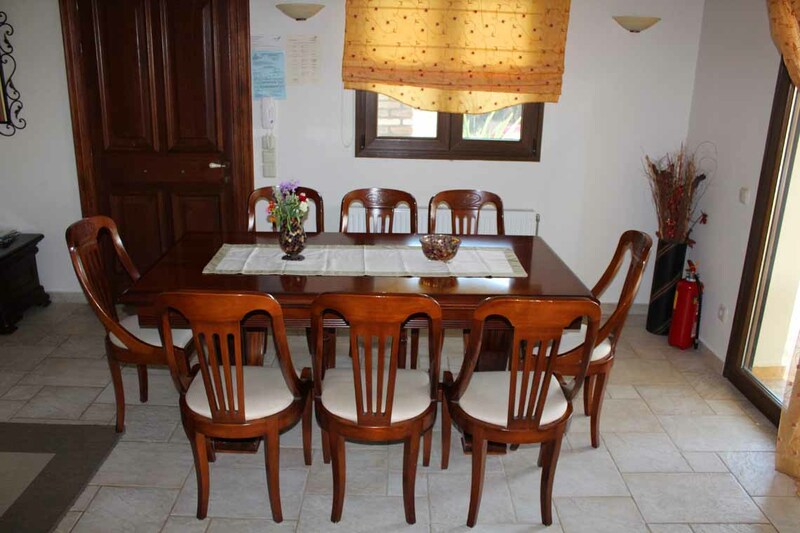 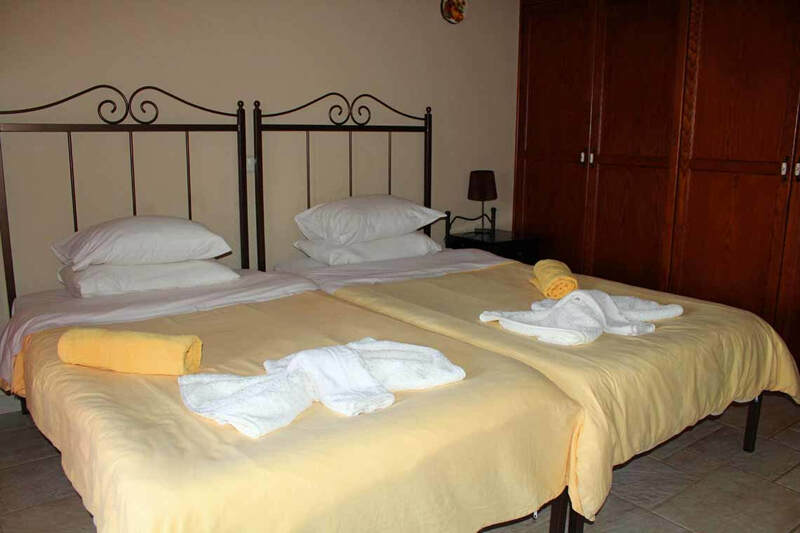 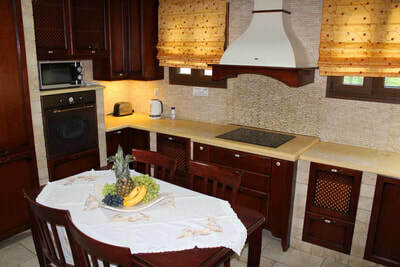 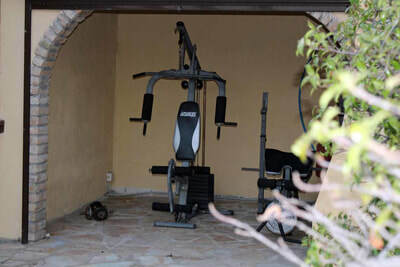 There is also a dining area and kitchen,a bedroom and a shower.On the 1st floor there are 3 bedrooms and 2 bathrooms. 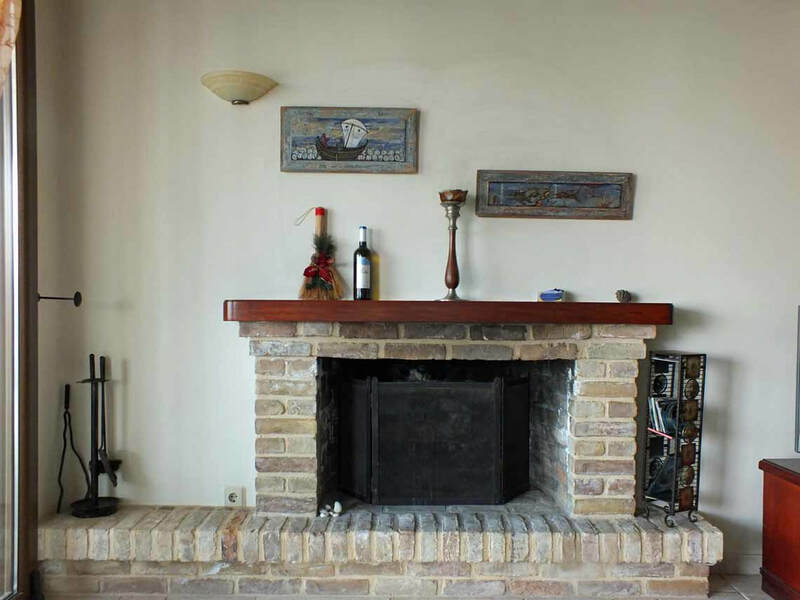 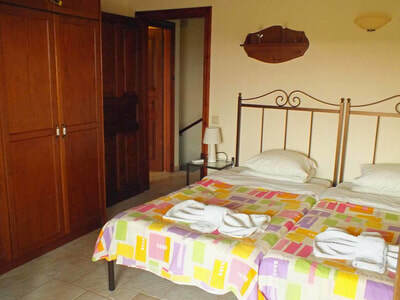 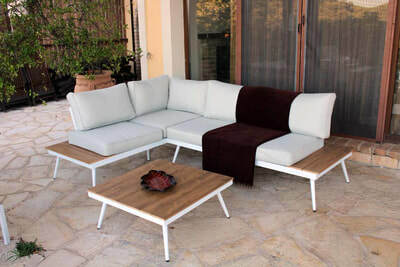 The living room of our Corfu villa has comfortable sofas, WiFi Internet, DVD player and a charming fire place. There are patio doors to the pool terrace. 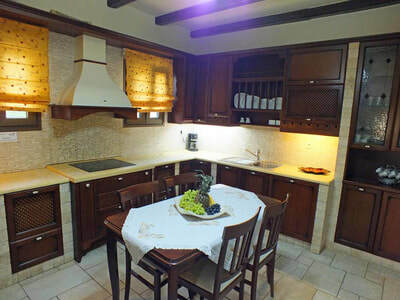 The kitchen features: full oven, cooking hob, fridge/freezer, microwave, dishwasher and washing machine. There is also a barbecue area located in the garden. 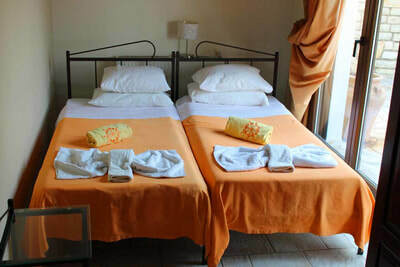 If additional beds are required there is 1 folding bed. The villa can sleep up to 8 people (plus 1). Bathroom 2 is a family bathroom with bath. 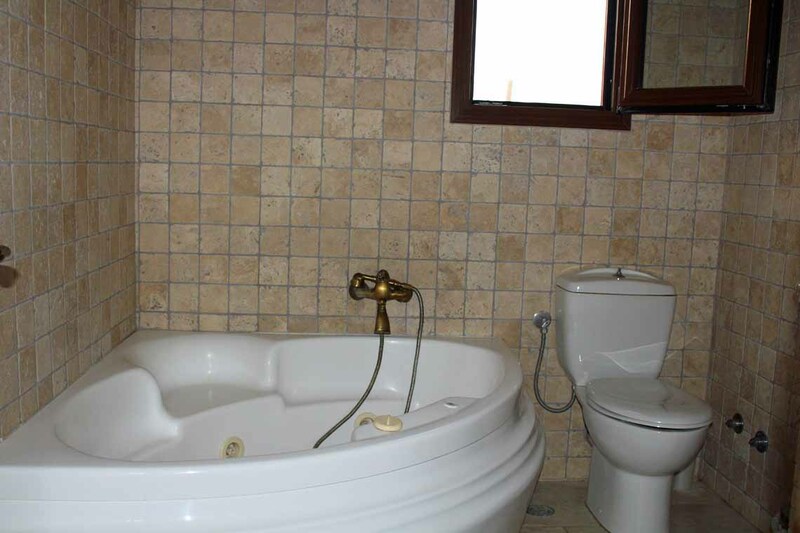 W/C.